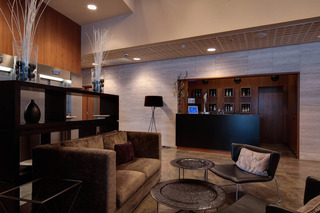 The hotel is located in Montcada i Reixac, near El Punt shopping centre and surrounded by Barcelona's main business and industrial areas, with an excellent transport connection to the centre of Barcelona. It's just 1 minute from the Renfe train station and 15 minutes by train to 'Plaça Catalunya', the main square in Barcelona's centre. It is only 50 m from the Montcada-Ripollet train station and has easy access to Bellaterra's University Campus, the Parque Tecnológico del Vallés and Montmelo's circuit. This hotel lies just 500 metres away from the town centre of Vilafranca del Penedes. 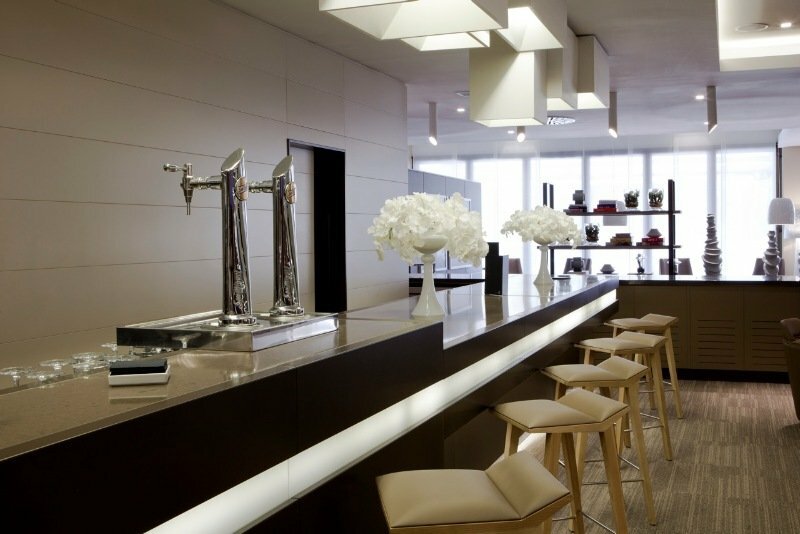 Set in an area known for its prestigious wines and champagnes, the hotel is immersed in the rich culture of the region. The hotel's privileged location allows for ease of access to Barcelona and Sitges, as well as a number of attractions in the area. This modern, functional hotel is sure to meet all expectations. The guest rooms are sublimely styled, featuring functional space and modern furnishings. 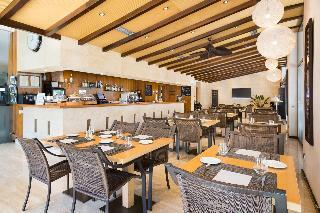 Guests can enjoy superb, contemporary cuisine in the elegant surroundings of the restaurant. 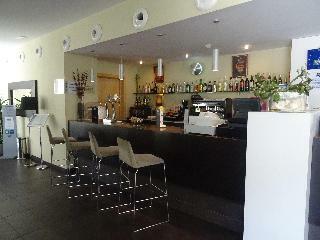 The hotel also features a bar and a cafe. Business travellers will be pleased by the hotel's conference facilities. Ideally situated close to the beach in the captivating city of Barcelona, this delightful hostel provides the perfect place from which to explore the delights the area has to offer. The hotel is just a 15 minutes' metro ride away from the heart of this culturally-rich, historical city. Guests can easily take a tour bus ride around the city, or explore on foot and underground. Guests will find themselves just a short metro ride away from a host of attractions, landmarks and spectacular architecture designed by the renowned architect Gaudi. Guests will find comfortable, tastefully decorated guest rooms, which offer a relaxing setting in which to relax and unwind at the end of a long day's sightseeing. 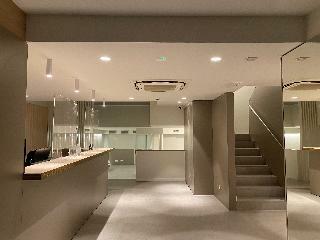 Perfect for a family holiday, business or visiting, the hotel was recently built and opened in 2010, and has 83 rooms. The air-conditioned establishment welcomes guests in a lobby with 24-hour reception. It comprises 90 spaces of covered parking, a 24-hour coffee shop and a restaurant. Internet access is available. The hotel is characterized by having two lifts with panoramic views. The comfortable hotel rooms have wooden floors and are equipped with an en suite bathroom with shower or bath and air conditioning. 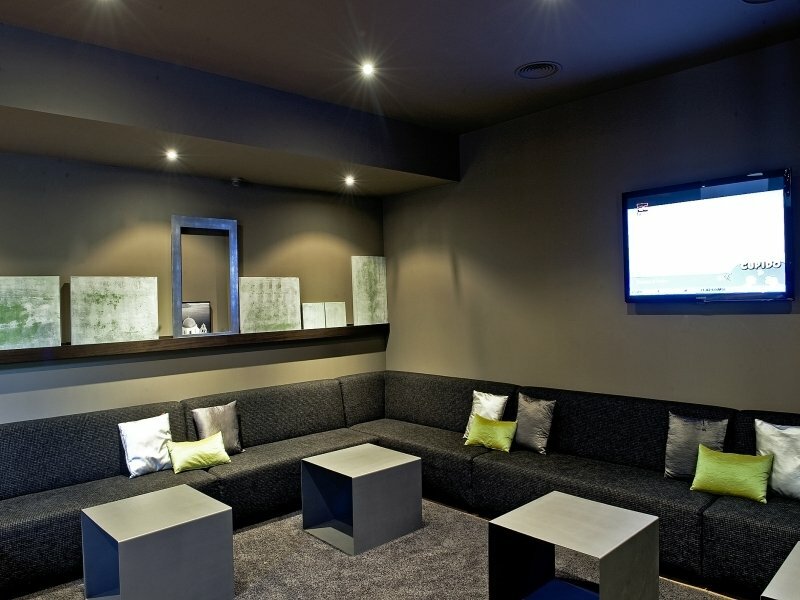 In addition, they have a 32-inch plasma TV, safe and complimentary wireless Internet access. A hairdryer and a mini fridge round off the amenities offered in the rooms. A breakfast buffet is served each morning. 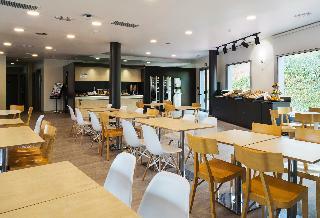 This hotel is located in the A7 business park, in Sant Cugat del Valles, Barcelona. The hotel is located just 300 metres away from the Sant Joan train station, enjoying ease of access to other areas to be explored. Guests will find themselves just 2 km from the centre of Sant Cugat, where they can explore the bustling nightspots and bars. The main attractions of the mesmerising city of Barcelona are to be found just a short driving distance away. This family-friendly hotel enjoys a charming design. The guest rooms are beautifully appointed, offering a relaxing setting in which to completely unwind at the end of the day. The rooms are well equipped with modern amenities. Those travelling for business purposes are invited to take advantage of the conference facilities that the hotel has to offer. This hotel features a range of exemplary facilities, meeting the needs of every type of traveller. This family-friendly apartment hotel boasts a strategic setting in Sant Cugat del Valles. 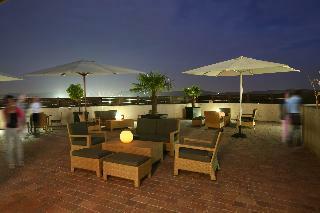 The hotel is located amidst the famous business and leisure district of the city. Guests will find themselves just a short distance away from Can Sant Joan Business Park and a large shopping centre. The centre of Sant Cugat and its famous Roman Monastery can be found just 1.5 km away. The artistic, culturally-rich city of Barcelona is just 20 km away. The airport is conveniently located 25 km from the hotel. This hotel comprises stunningly-designed apartments, which are fully fitted with modern conveniences. The hotel offers a wide variety of excellent facilities and services, delivering a high level of convenience. 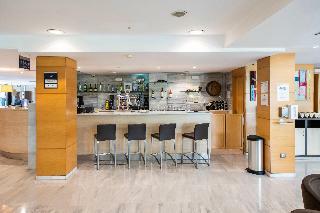 This hotel is located in Sant Cugat del Vallés, in the business district of Can Sant Joan, just 25 minutes by train from Plaça Catalunya in Barcelona, with a train station 200 m away. Ideal for business or pleasure, the hotel offers a free bus service available from morning until evening to connect guests with the main businesses in the area. 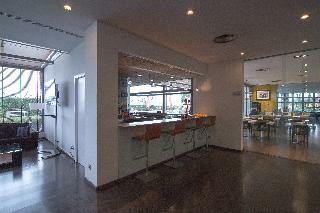 The hotel has a restaurant, a bar and 7 fully equipped conference rooms. This hotel enjoys a great setting, just 20 km away from the culturally-rich city of Barcelona. 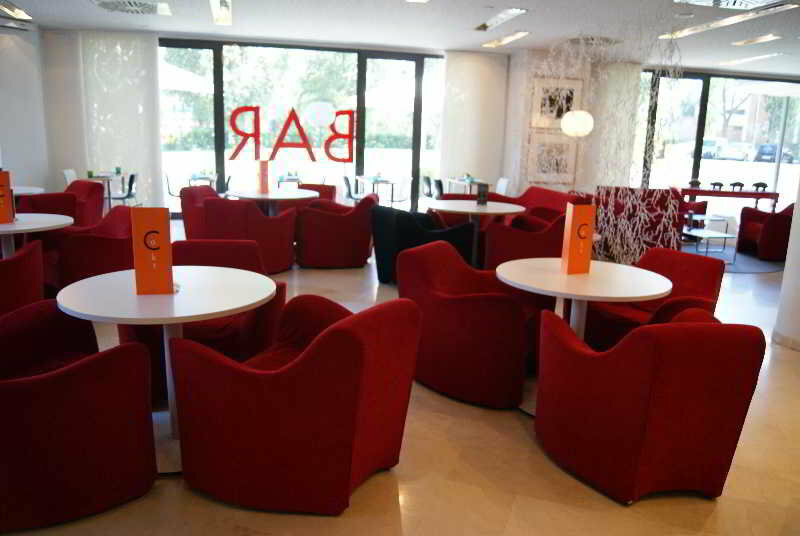 The establishment is located on the Rambla del Celler, close to the Town Hall. Guests will find themselves just 500 metres away from the Ferrocarrils de la Generalitat station. The hotel lies within 300 metres of the auditorium and the monastery, in the Sant Cugat area. Barcelona Airport is just 26 km away. This hotel enjoys a stunning, Avant-garde style. The lounge area offers space, comfort and striking style. The guest rooms are superbly appointed, offering unprecedented comfort and style. The hotel offers many exemplary facilities and services, ensuring an unforgettable stay for every type of traveller. This modern hotel is strategically positioned in the industrial area of Can Calderon de Sant Boi de Llobregat, close to Barcelona. Guests will find themselves just 5 km away from Castelldefels Beach. The bustling centre of Barcelona is just 13 km away. The hotel is conveniently located just a 5 minutes' driving distance away from the airport. The exhibition centre is a 10 minutes' driving distance from the hotel. This property is perfect for business and leisure travellers alike. The rooms offer convenience and comfort, and the perfect setting in which to work and rest. Guests can wine and dine in style in the restaurant. The hotel also features 5 conference rooms, which are sure to please those travelling for business purposes. This brand new hotel, nestled in the outskirts of Barcelona, is situated approximately 15 km away from the heart of the city. Guests may enjoy convenient transport connections located less than 100 metres away from the hotel, which provide links to the centre and other areas of touristic interest. Fira 2 Gran Via is 9 km and Fira de MontjuÃ¯c is 10 km. This is a perfect place for business affairs travellers. Featuring a lovely garden and surrounded by lush vegetation, this fabulous city hotel enjoys a quiet setting on the northern edge of the city of Barcelona, at the end of Avenida Diagonal and just 3 km from the famous Camp Nou Stadium. Barcelona city centre is only a 25-minute drive away and travellers can find excellent transport links within walking distance from the property. The hotel offers modern, stylish rooms, decorated with attention to detail and featuring all the necessary amenities to enjoy a fully comfortable stay. Guests may indulge in delicious, creative, signature cuisine, offered by the on-site restaurant and served in an elegant atmosphere. After a tough workout at the fitness area, visitors may enjoy a relaxing moment in the spa, which offers facilities such as a sauna, a Jacuzzi and a traditional Turkish bath. On hot summer days, guests can take advantage of the sparkling outdoor pool, taste some typical Spanish tapas at the hotel's terrace and soak up the sun while lazing on the sun loungers. The building that now houses the Hotel Abat Cisneros has provided accommodation for pilgrims since its original construction in 1563.The conversion of this old monastery building into a hostel in the late 1950s effectively turned it into an establishment of outstanding interest. Later reforms modernised the facilities, ensuring that services provided to guests by the Hotel Abat Cisneros meet the highest standards as regards quality and comfort.The hotel's location at the heart of the sanctuary, near the basilica, assures visitors an unforgettable stay here, in a peaceful, pleasant atmosphere, with magnificent views of the mountain and the Llobregat Valley.The hotel features a wide range of exceptional facilities, meeting the needs of discerning business and leisure travellers alike.Barcelona and El Prat de Llobregat international airport are located 60 km away. Boasting a unique location close to the Circuit de Catalunya Racetrack, this charming establishment provides easy access to the AP-7 Highway. Montmelo city centre is some 2 kilometres away while most famous Barcelona tourist attractions are just a 25-minute drive from this stylish property. It offers a contemporary architecture and a choice of modern, comfortable guest rooms where everything has been designed to be highly efficient. They all come complete with satellite TV and wireless internet connection. Business travellers will appreciate the onsite conference facilities featuring the latest technical equipment. 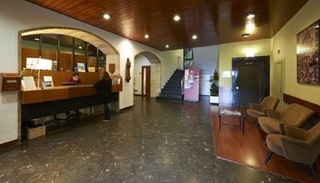 The hotel is situated just 800 m from the centre of Granollers and 25 km from Barcelona. It was completely renovated in 2007. It has 110 rooms and offers an extensive range of facilities including exclusive packages with health, beauty and/or fitness programmers. Guests are welcomed into a reception hall with 24-hour service. The hotel offers newspapers, hotel safe and elevator. All kind of services are available. There are a café, a restaurant and a bar. Free public parking is available on site, and there is wireless Internet access in public areas, free of charge. This hotel is gay-friendly. All rooms come fully - equipped with hairdryer, individually regulated air conditioning and direct dial telephone. Also they have a mini bar, a TV and radio. It is possible to request specific rooms, such as the bridal suite, soundproofed rooms, non-smoking rooms, upon booking. 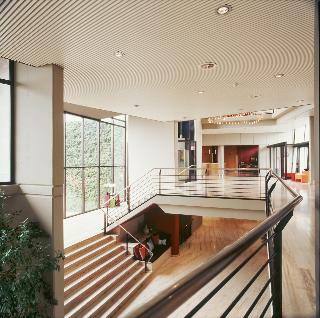 This hotel is strategically placed in the commercial and industrial area of Ramassar, in Granollers. 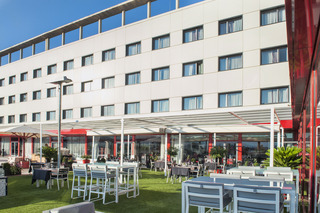 The hotel lies just 10 km away from the Circuit de Catalunya racing track. Barcelona's intriguing city centre can be found just 25 km away. Guests will find a number of wonderful attractions within easy access of the hotel. 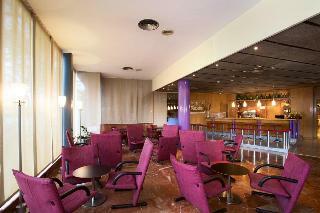 The hotel is conveniently situated just 43 km away from Barcelona Airport. This hotel features a modern, functional design. The guest rooms are comfortably-appointed, offering a peaceful setting in which to work and rest. The hotel's personalised service ensures that guests' needs are met at any time of the day or night. The hotel provides wireless internet, so guests can keep in touch with work or home. Located in a peaceful area and very close to the AP7 highway, this hotel is just 20 minutes by car from Barcelona and 5 minutes from La Roca Village shopping outlet. Moreover, the property is situated opposite the Circuit de Catalunya and a mere 10 minutes from a golf course. Thus, this is a great option to rest and visit the area or stay on a business trip. The hotel offers a full range of leisure activities, including an outdoor swimming pool, a fitness centre, a free parking and a restaurant. With six meeting rooms, the hotel is perfect for organizing meetings and celebrations. All guest rooms and suites are beautifully appointed and boast a modern look. They include all the necessary amenities for a good nightâ€™s sleep.